The 24 Hours of Le Mans, will have a special class this year called "Le Mans vers le Futur," which gazes into the future of racing. 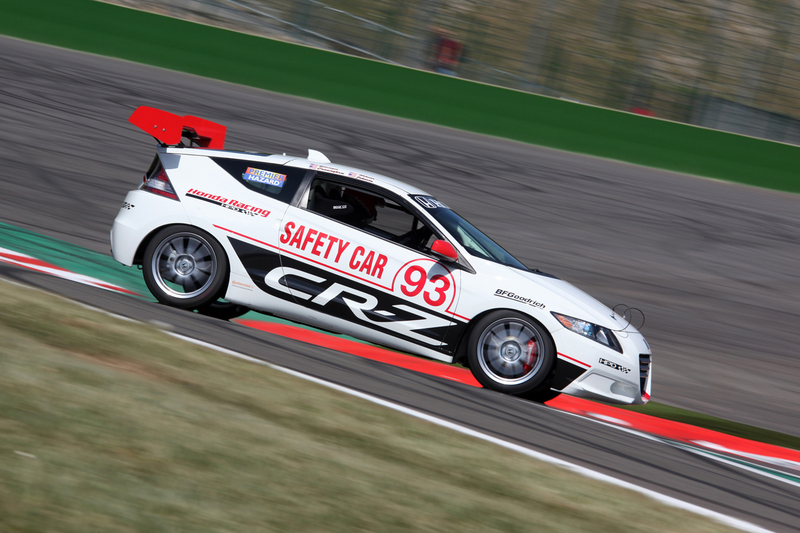 Although not technically "racing," this race-prepped CR-Z will run demonstration laps around the course. But enough of that. What's under the hood? Developed by Honda Performance Development (HPD), the CR-Z Racer has a tuned gasoline/electric hybrid powerplant making 200 hp and 201 ft./lbs. of torque from its turbocharged 1.5-liter SOHC engine. There's also a 7 kWh battery pack running the electric motor. Power is fed through a six-speed manual transmission. This car is currently serving pace car duty in Europe as part of the Speed EuroSeries, too so this won't be the first time the car has seen the track. Are gas/electric hybrids the future of racing? It looks like Honda things it may be; regardless, this CR-Z looks great. Don't laugh too hard, but when I see cars (front and back) I've always imagined them with faces. 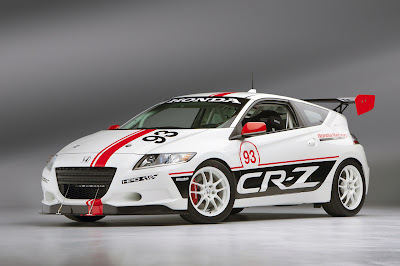 And for some reason, the Honda CR-Z just has a "sad" kind of face. Especially with this paint job.